You can bet that William Hill is enjoying the media coverage it is getting today. In spite of the bad weather at the end of last year, the betting business is banking extra takings and reporting much higher than expected profits. Meanwhile, over at the electrical retailer, Comet, they are probably wandering around with sad faces today because the company has said it expects to be trading at a loss. Two companies, two different tales. One blames the snow, the other welcomes the boost to its fortunes thanks to the Internet. One blames the VAT increase, the other looks for opportunities offshore by setting up a new operation based in Gibraltar. One blames software for poor online sales, the other says it is technological change which has benefited it most. Do you notice a trend here? 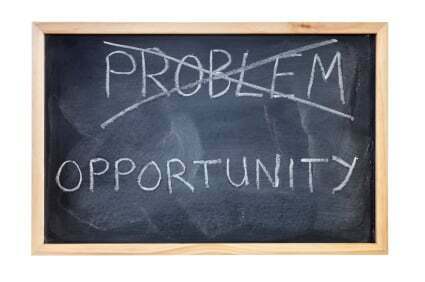 One company is looking for problems, the other is looking for opportunities. It’s all about attitude. Interestingly, these announcements of results come at the same time as the publication of a study from hosting company Fasthosts. They found that there is a similar discrepancy of attitude between online businesses and their Internet customers. The research amongst almost 500 British businesses found that most of them admit to a complete lack of understanding of their virtual presence. And less than a quarter of these businesses do any form of social networking. Most of them don’t even do any search engine marketing either. Meanwhile, the study looked at the other side of the divide – the potential customers of these businesses. Four out of every ten people actually EXPECT businesses to be engaging with them on social networks. A staggering 55% require companies to be using video to communicate with them. And when negative comments appear online about a business, a third of consumers want the company to engage with such postings on forums and on review sites, yet only about one in seven companies actually do this. In other words, there is a significant gap between what businesses do online and what their customers expect them to do. And a major component of this is attitude. Many businesses – rather like Comet it seems – appear to focus on the negatives. Meanwhile, customers are not concerned with those – all they worry about is being connected to the company in a meaningful way. When you focus on the positives you find opportunities to connect to customers; William Hill does face intense online competition and much rivalry in the High Street – but by looking at the opportunities they face, rather than the potential problems, they are doing very well thank you. But seemingly paying attention to the lack of footfall due to snow, of problems caused by technology and by that nasty VAT rise, Comet don’t appear to be doing as well in locating those positive options. The Fasthosts study is a clue for any business to help them succeed. Engage with customers more online, look for the positives in using more video, and use social networking and you’ll be astounded at the opportunities that arise. Indeed, there are even more opportunities than in Aladdin’s cave, because according to Fasthosts, the vast majority of British businesses are NOT doing these things. There is a massive gap waiting to be filled. Now, I wonder if William Hill are taking bets on the extent of Comet’s losses…?